This English Grammar lesson will teach you how to talk about someone’s behaviour and personality. You would learn to use the tenses ‘be’ and ‘being’ to talk about someone’s personality and behaviour. Using the forms of verb ‘Be’ & ‘Being’. The forms of the verb ‘To Be’ are ‘is’, ‘am’ and ‘are’ in the present tense. In the above 3 sentences, we have used ‘is’, the form of the verb ‘to be’ and we are talking about the personalities of these people. We are describing how they normally are – playful, quiet and polite. The boy is being playful. Here by using the word ‘being’, we are referring to the behaviour of these people that is a one off case, displayed at the particular time. It is not their normal personality type. In this way, we can use ‘be’ and ‘being’ to talk about personality and behaviour of different people. We hope that this English Grammar lesson was easy to understand. 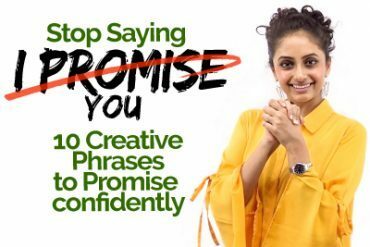 Please practise and implement this learning in your English speaking. Previous Previous post: Smart Answers to Tricky Questions in a Job Interview. 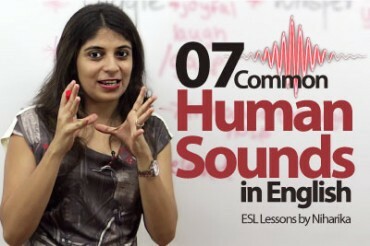 07 commonly produced human sounds in English. 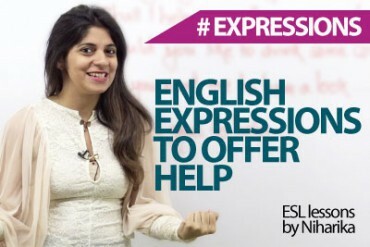 English expressions to offer help.